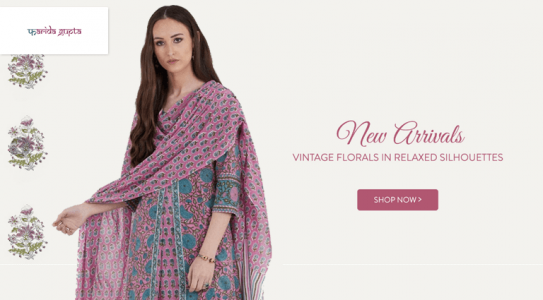 Farida Gupta - Online Clothing Shop. Farida Gupta started designing two decades ago after completing her post graduation from Jawaharlal Nehru University, New Delhi. In the year 2011, she decided to incorporate her company and pursue her passion. 2. Choose Any Product from Farida Gupta. To look good in ethnic wear is very important because we are gathering for festivities and meeting a lot of people. There are a lot of brands and shops to buy ethnic clothes. In this time of era of online shopping, it is very easy time saving and can get product on best prices. You don’t have to go to every shop for your perfect clothing wear. Here at faridagupta.com some of the clothes are fusion wear for modern women. 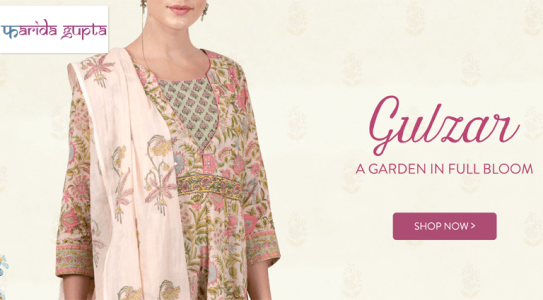 Farida Gupta is a brand which connects range of traditional crafts with wide collection and techniques of dyeing, weaving, printing and hand embroidery. They use Traditional block prints from Bagru, Bagh from Madhya Pradesh, Indigo & Ajrak prints from Kutch and various parts of Rajasthan , contemporary block prints from Sanganer and Weaves from Bijnor and south of India. 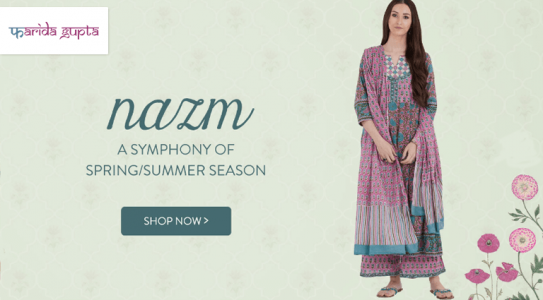 You can buy ethnic wear from www.faridagupta.com via Cubber and get confirm cashback. Also you can track your order through website or mobile website if you order from Cubber.